Warning: This video may set off some cravings! 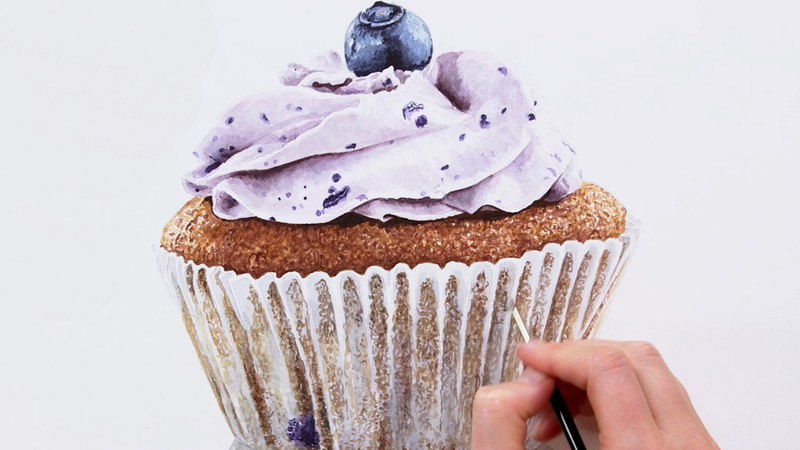 Of all the different parts to it, it’s the cake crumb in this yummy cupcake that presents the biggest challenge for painting in watercolour. How to achieve that texture AND the curved form at the same time, without ending up with a muddy mess? 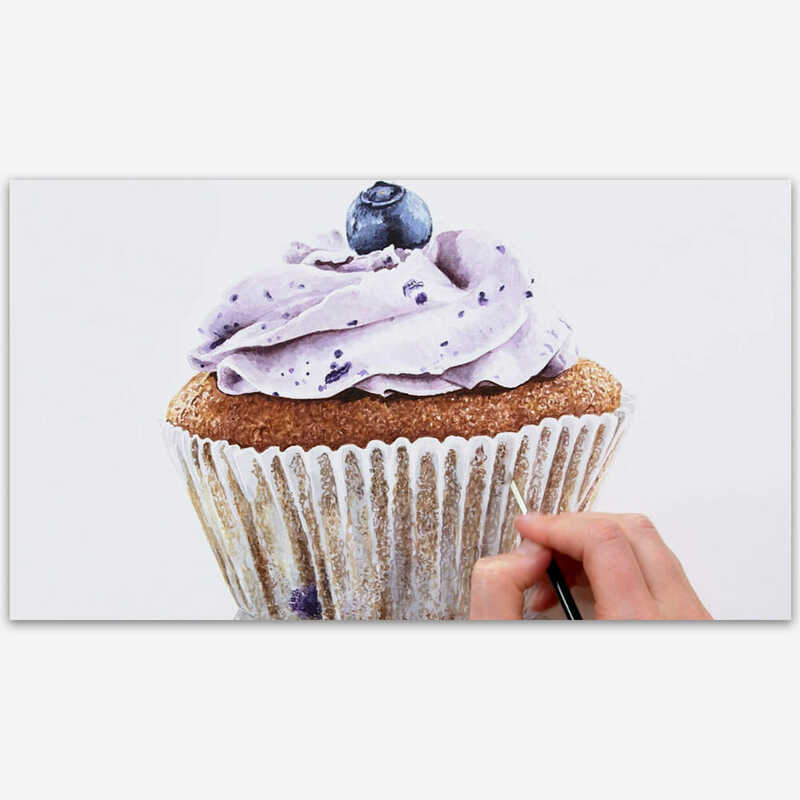 Give into those cravings and paint some cake this weekend!